Enugu—The apex Igbo socio-cultural group, Ohanaeze Ndigbo, has rejected the proposal by the Federal Government to establish grazing colonies for Fulani herdsmen across the country, saying the recent killings of people by the herdsmen in Benue and Taraba states have exposed the dangerous path, which Nigeria would be walking through such a gamble. This is even as Ohanaeze Youth Council, OYC, has called on the Federal Government to forthwith declare the rampaging Fulani herdsmen terrorists , warning that allowing them to continue to kill, maim and destroy people’s farmland would push communities to engage in self-defence. The Ohanaeze also said the proposed grazing colonies were not only against the Bible, which was a supreme law (Exodus 22.5), but another form of internal colonisation of the eastern region by the Fulani north. These were contained in a statement signed by the Enugu State President of Ohanaeze Ndigbo,Chief Alex Ogbonna. “The recent killings by Fulani herdsmen in various parts of Benue State and Middle Belt region have once again exposed the dangerous path which Nigeria is currently walking. “Curiously, despite the gravity of the situation, the Federal Government appears to be at a loss on how to tackle the menace, and has, consequently, hit on the expediency of establishing grazing colonies across the country as a means of ending the constant menace of the herdsmen. “While Ohanaeze Ndigbo, Enugu State is disposed and committed to a peaceful Nigerian society, devoid of senseless blood-letting and unconscionable massacre of innocent civilians by any group, we wish to state categorically and in the strongest terms that we reject in its totality the proposed establishment of grazing colonies in any part of Enugu State. “Therefore, Ohanaeze Ndigbo, Enugu State Chapter urges the state government, state Assembly and other institutions of the state to resist in the strongest terms, the concession of any part of Enugu State for the purpose of creating grazing colonies for the Fulani herdsmen. “We wish also to state that any attempt by central government to carry out this policy will amount to usurpation of our people’s right to existence and would thus be vehemently resisted. Meanwhile, Ohanaeze Youth Council, OYC, has banned the roaming Fulani herdsmen from the 95 local government areas of the five states of the South-East and warned the herdsmen to take OYC’s position very serious or risk being in trouble. OYC, however, appealed to Igbo youths not to take laws into their hands and allow the herdsmen to gradually leave the South-East with their cattle. In a statement signed by OYC’s President-General, Mazi Okechukwu Isiguzoro; Secretary-General, Mazi Okwu Nnabuike, and National Publicity Secretary, Obinna Adibe, the group condemned the attacks and killings in Benue State, saying the activities of the herdsmen are seriously threatening the peace of the nation. “The activities of herdsmen, and the Benue massacre is unfortunate and can cause another avoidable tension in the country, especially now that the election of 2019 is around the corner. We condemned vehemently the terrorist attacks of the herdsmen and call for self defense as a measure to halt it. In a related development, the people of Isiadu Ibeku community in Umuahia North Council Area of Abia State said they now live in fear following threats by armed Fulani herdsmen to invade their community because they refused to allow them graze on their farm land. The community said 15 armed men suspected to be herdsmen last weekend, were about to attack the community before a team of policemen from Abia State command was drafted to stop them. Abia State Police Spokesman, Geoffrey Ogbonna, a Deputy Superintendent of Police, DSP, who confirmed the aborted attack, said the situation had been brought under control and that the command had positioned security personnel in the community. For fear of being attacked, leaders of the community have directed their people not to go to their farms for now. According to Chief Ochionye Chilaka, one of the community leaders, the residents abandoned their homes last weekend when the herdsmen shot sporadically as they tried to invade the community, but said however that no life was lost before the police intervened and averted imminent bloodshed. Chilaka explained that the herdsmen entered the community through Ubani Ibeku and invaded their farm land. He said when he got a call that the herdsmen had entered the farms and destroying crops and burning the farm lands, he sent a delegation “to plead with them to leave our farms”. 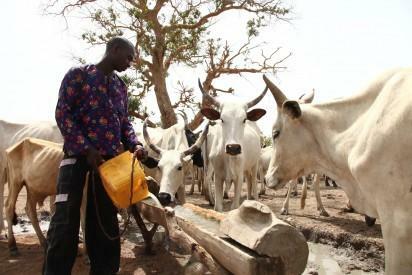 “The herdsmen left and later returned with about 15 more herdsmen armed with AK 47 rifles”, an action he said prompted the villagers to flee and run for their lives. The State Commissioner for Information, Mr. John Kalu, who also confirmed the incident, said he visited the community to see things for himself. According to him, the peace and conflict resolution committee set up by the state government to settle disputes between farmers and herdsmen has waded into the matter. The post Ohanaeze Ndigbo rejects grazing colonies appeared first on Vanguard News.